As a trademark professional, you know that the key to registrability is determining how similar your proposed mark is to existing marks and, the potential overlap of goods and services. 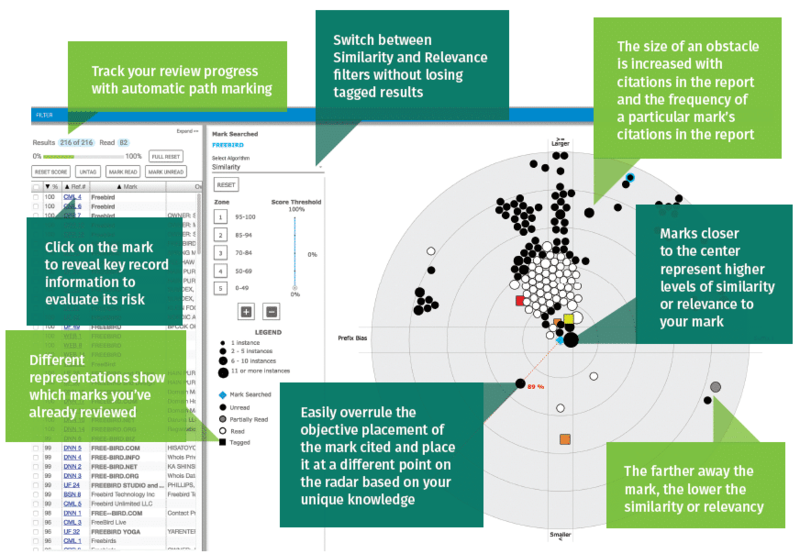 Corsearch FOCUS™ delivers an eye-catching map of trademark research results that enables you to quickly and easily grasp the relationship between your marks and any potential conflicts. Using similarity and relevancy metrics, our patent-pending technology, graphically plots potential conflicts around your mark, with detailed record information simply a click away.